It is a hard truth of life that either through accident, health problems, or old age, just about everyone eventually experiences some form of disability. As our population ages, more and more people are finding it difficult to remain independent in their own homes. The good news is that with a bit of preparation and planning, you can turn your housing situation into a welcoming, accessible and functional home for a person with disabilities. Once you have a good understanding of how your day to day living will be affected by disability, it’s time to go through the different areas of your house and assess what changes should be made.The first step is to really evaluate what your special needs are now, and what they will be in the future. Not every disabled person requires the same modifications. A young paraplegic may have excellent upper body strength, for example, and have very different needs than an older person recovering from a stroke with paralysis in their right arm. Every person is different, and to design a home that meets their needs, it takes time to understand their abilities and think about what tools will serve them best. An occupational therapist is an expert in this area and can be consulted for help in finding the right tools and modifications for your home. The entranceway should be as level as possible. If you cannot manage stairs then a ramp should be installed. Ramps need to be very sturdy and have guard rails so that there are no falls over the edge. The slope of the ramp should be no more than fifteen degrees. Ramps can be difficult, particularly if it rains and they get slippery. This can be solved by either attaching traction strips or mixing paint with grit for the surface of the ramp. The doorway should be large enough to fit a wheelchair through and lever style door handles may need to be installed. For the elderly, an intercom or door camera can allow them to see who is at the door without having to rush to the entrance. Connecting the doorbell wiring to a hallway light is an easy way to alert someone with a hearing impairment that there is someone at the door. The risk of falling is very serious among older people and when old age is combined with visual impairment, there is a significant increase in the likelihood that a fall will result in in injuries that cause greater disability. Be proactive and install motion sensitive lights at the front entrance. This will improve safety and also decrease the risk of home invasion. Manoeuvring in narrow spaces can be difficult with a disability. Doors may need to be changed so that they open away from traffic areas. In older houses, the hallway may need to be widened in order to allow enough room for a wheel chair. Stairs often need to be modified. If you are able to climb stairs but unsteady on your feet, you should have strong handrails on each side of the staircase. For many people with visual impairments, it’s almost impossible to look down a flight of stairs and know where each step ends. Paint or tape of a highly contrasting colour should be placed on the edge of each stair. 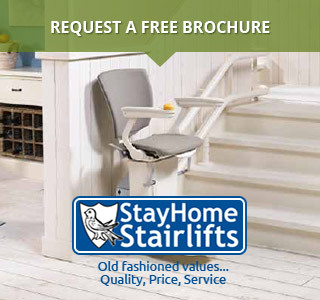 If you are unable to manage stairs, a stair lift can be installed. There will need to be adequate room at the top and bottom of the staircase to safely get off the lift chair. Another option is to install a small elevator in the home. This can often be done by converting closet space or enclosing areas at the top and bottom of the staircase. Bathroom modifications are important for maintaining hygiene and safety. It’s also important that you are able to use the bathroom as independently as possible. To accomplish this, a proper tub and shower area is crucial. The deck of the bath or shower should be level with the ground so there is no need to step over the tub ledge. Seats can be built into tubs or a removable one can be purchased. A hand held shower head can be used while seated. Shower faucets should have temperature controls with safety valves to prevent scalding. The bathroom should have grab bars installed in the shower and next to the toilet. These must be professionally installed and reinforced as they must be strong enough to withstand the force of a falling person. If you use a wheelchair, there will need to be ample room next to the toilet so that you can get close enough to transfer seats. There will also need to be enough room in the bathroom to be able to turn around. If you have difficulty cleaning yourself after using the toilet, consider a hands-free toilet or bidet as an option that allows greater independence and dignity. Of course, it’s important to keep the bathroom safe from slips and falls by having floor and tub surfaces that are textured and not slippery. If rugs are used, they should have a very low pile so that they do not interfere with wheelchairs or canes, and have a slip-proof backing to prevent tripping. There are many devices to assist the disabled or elderly person with managing in the kitchen. Spike boards hold food in place so that it can be peeled or cut with one hand. Food preparation cutlery is available with wide handles that are easier to turn. If you have difficulty standing, a flat bottomed basin can be useful for carrying items to a kitchen table or to a chair, or a perch stool can be pulled up to a counter or stove so that work can be done from a seated position. Adapting a kitchen for the use of a wheelchair is especially challenging and may take some renovation and a creative eye towards problem solving. The kitchen needs to be large enough for a wheelchair user to be able to manoeuvre between the stove, sink and the fridge. Counters will need to be lowered and have enough space underneath for the legs while work is done from the seated position. In households where one person uses a wheelchair and others do not, you should consider installing hydraulic countertops which can be raised and lowered depending on who is using the workspace. Safety in the kitchen is, of course, a paramount consideration. Kitchen timers can be a great help to those with cognitive problems resulting from a brain injury or early dementia. Oven doors should have a simple hinge without springs so that they don’t close suddenly on an arm. The stove and fridge should both be anchored to the floor using special anchor hardware that the appliance foot slides into. Controls for the stove should be located at the front of the appliance so that there is no risk of burns by reaching over hot pans and kettles. Kitchen lighting should be excellent, particularly for the elderly or the visually impaired. It can be very difficult to see clearly and cut food safely when there are shadows in the workspace. For that reason, work areas should have a strong light source directly overhead. Having adequate kitchen storage can be problematic in an accessible kitchen. Not only are most over-the-counter cupboards out of reach for the wheelchair user, the lower cupboards are often reduced in number to make room for sitting at the counter. It can also be difficult to manoeuvre around opening cupboard doors and finding items. These problems can be solved with vertical pull-out shelving. When closed, these shelves look like typical kitchen cupboards; however they are on wheels and pull out from the other cupboards so that large numbers of items are easily stored and accessed. The social services department of your local council can be contacted to arrange an assessment of your situation by a social worker or occupational therapist. He or she will help determine if you need assistive tools or equipment to help you live more independently and then arrange for your needs to be met. You may also approach either the social services department, or your local council, to apply for a Disabled Facilities Grant. Eligibility for these grants depends both on your income as well as your disability. The grant covers the costs of upgrading that makes it easier or safer for you to live in your home. If you are finding it difficult to get around your home, it may be possible to reduce these difficulties by altering or adapting your home. We provide a comprehensive aids and adaptations service in partnership with Essex County Council Social Care Direct. If you are disabled or have a long term illness you can adapt your home to make things easier for you or your carer. Advice and support for elderly or disabled people on equipment and adaptations to their homes. Home repairs, handyperson service and garden maintenance. An adaptation is an alteration that will help you or a member of your household live as independently as possible. If you have a disability that makes it difficult to manage in your home, Adult Care, Health and Wellbeing may be able to help you. In order to live independently some people may require additional assistance in the form of adaptations to their home. f you have a disability, the Council and our partners can help you with advice or the provision of adaptations to help you remain independent. Ealing Council has occupational therapists who can assess the need for special equipment and adaptations to your home. Where possible we can provide aids and adaptations to enable you to live independently in your own home without the need to move. The District Council is able to offer assistance for Mandatory Disabled Adaptations up to a maximum of £30,000. You would be subject to a test of resources. This topic is for you if you would like to stay in your home, but don’t think you can because your home would need to be adapted to meet your current needs. f you or someone living with you has a disability, you may be able to get a grant for adapting your home or providing specialist equipment to help you continue living there. If you are having difficulty living independently at home due to a disability or frailty we can adapt your home to make life easier. This is a tax-free benefit for people aged 65 or over who need help with personal care because they are physically or mentally disabled. If you are an adult or a person with a physical disability experiencing difficulties living safely at home, you can email us. Sometimes it may be helpful for changes to be made to your home. This can help you to live as independently as possible, by making day to day living and getting about in your home, easier and safer. Melton Borough Council aims to meet the Decent Homes Standard as set by the Government by 2010. Assistive technology helps vulnerable people in the county, allowing them to remain in their own homes enjoying safety and independence. Using the Care Services Directory on the Care Choices website allows you to zoom in on pages, print individual pages off or listen to pages using a “Browsealoud” compatible version. We do not provide equipment for temporary conditions such as a hip replacement or broken leg. If you are in hospital contact the hospital occupational therapy service before you are discharged. Care & Repair is designed to provide assistance and support to older people and people with a disability who are home owners or private tenants. If you have a disability you may be entitled to help with equipment or adaptations for your home. Such items can be described as Assistive Technology. Your home may be adapted where it is essential to give a disabled person better freedom of movement around the house. Providing you are eligible, assistance may be available to you through Disabled Facilities Grant (DFG). Grant assistance may be available toward the cost of renovating, improving or adapting your home if you are disabled or an older person with mobility problems. If you are a homeowner or live in privately rented accommodation, are over 60 years of age and require house repairs or minor adaptations to your home, the home repair assistance grant may assist you. If you need improvements and adaptations to your home to help you, or someone living with you, to continue to live independently, you can ask Care Direct Devon to do an assessment of your home. We maintain a strong interest in independent living and helping people to remain in their homes. This section contains information on Disabled Facilities Grants and Safe at Home who offer support and guidance on adapting properties. If you have a disability or a long-standing illness which stops you from carrying out everyday tasks in your home the Adaptations Service may be able to help you. We can provide advice and support to vulnerable residents needing home repairs, adaptations and improvements. Adapting your house can enable you to remain independent and stay in your home. However, you may feel that you require help and advice. We offer assistance to people with a disability to make it easier for them to continue to live in their home and maintain their independence. Climate change is defined as a change of climate, whether it is attributed directly or indirectly to human activity that alters the makeup of the global atmosphere. 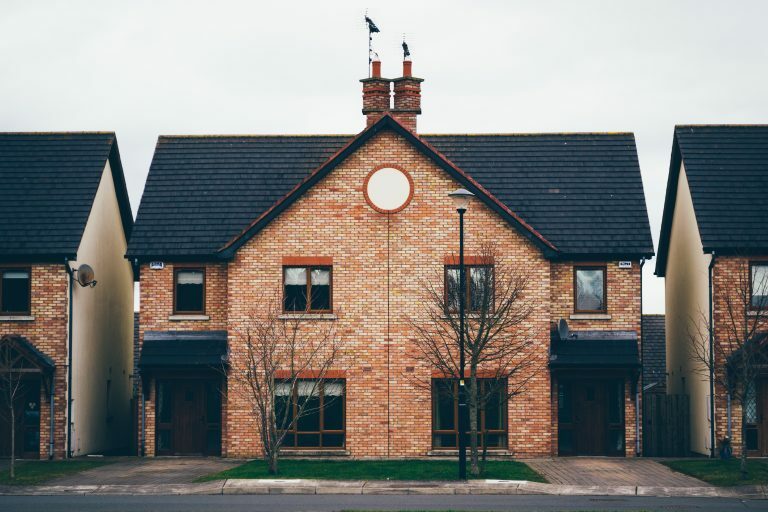 If you are having difficulties managing within your home, you may think about whether it is possible to make changes to your property. Specialist Housing Services team is committed to providing the right kind of care and support to help you live as independently as possible. If you rent your property from us you can request certain minor adaptations directly. If you own your home or rent from a private landlord, you will need to contact Social Services on 01283 230400. If you have problems getting around your home there are many items of equipment or adaptations that can make life easier and help you to stay living in your own home. If you have a disability and have difficulty getting around in your home then Adult Social Services may be able to help you.